Piotr Modzelewski joined our team in April 2011. 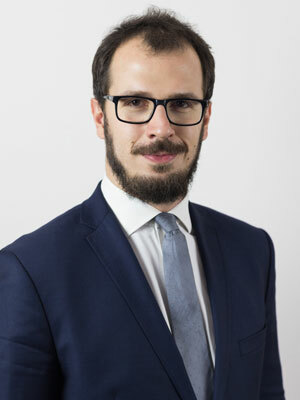 In 2013 he defended his Master's thesis on substantive criminal law, written under the guidance of Piotr Kładoczny, PhD, and graduated with distinction in Law from the Faculty of Law and Administration of the University of Warsaw. In 2017 he passed the barrister examination. He was the President of the TEMIDA Criminal Law Scientific Association for a year since March 2012. Currently, he is a Member of the Management Board of the Catch 22 Society for Legal and Criminological Initiatives: an association dealing with scientific activities and popularisation of judicial science. As part of his scientific activity, he has presented papers at many national scientific conferences. He was the organizer of two parts of a conference "Legal Professions and the Criminal Procedure Reform: Hopes, Fears, Opportunities" and of a conference "Licence for Safety". His interests are focused on the issues connected with labour law. He also deals with broadly understood civil law, business law, criminal law, administrative law (including Polish citizenship cases), as well as social insurance law.